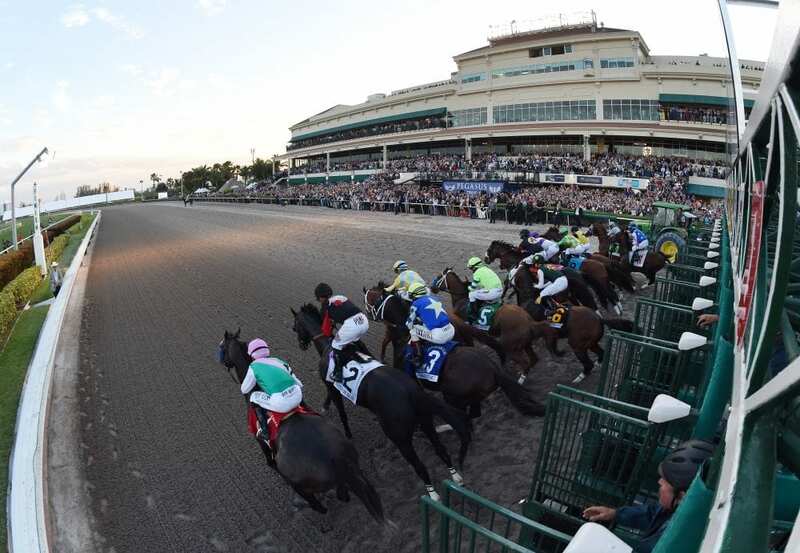 Gulfstream Park announced Friday it had received more than 5,000 stall applications for the approximately 3,100 stalls available at Gulfstream, Palm Meadows and Gulfstream Park West for its Championship Meet. The Championship Meet, which begins Nov. 30, will feature the Pegasus World Cup Invitational (G1), Florida Derby (G1), Clasico Internacional del Caribe, Eclipse Awards, Claiming Crown, Fountain of Youth (G2) and world-championship turf and dirt racing through March. There were 274 trainers who applied for stalls. Those applying included Todd Pletcher, who has won the Championship Meet trainer's title an unprecedented 15 times, Bill Mott, Shug McGaughey, Kiaran McLaughlin, Dale Romans, Chad Brown, James Jerkens, Graham Motion, Mike Maker, Michael Matz, Ken McPeek, Wesley Ward, Jason Servis, Mark and Norm Casse, Rick Violette, Kelly Breen, Bob Hess, Jeremiah Englehart, Mark Hennig, Eddie Kenneally, Brendan Walsh, Mary Eppler, Michael Trombetta, Jorge Navarro and Jane Cibelli. Trainers who will participate in the Championship Meet stabled in South Florida year-round include Eddie Plesa Jr., David Fawkes, Stanley Gold, Kathy Ritvo, Antonio Sano, Ralph Nicks, Jena Antonucci, Henry Collazo, Michelle Nihei, Joe Orseno, Gustavo Delgado, Armando De La Cerda, Elizabeth Dobles, Kathleen O'Connell, Peter Walder and Victor Barboza Jr. This entry was posted in The Biz and tagged bill badgett, clasico internacional del caribe, Florida Derby, gulfstream park, gulfstream park championship meet, gulfstream park west, palm meadows, Pegasus World Cup Invitational by Press Release. Bookmark the permalink.